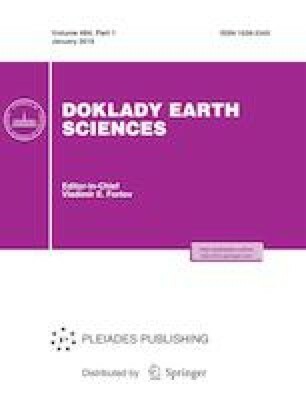 The first U–Pb dating of amphibole-bearing quartz monzodiorites from the alkaline-ultramafic Zhilandy Pluton in Central Kazakhstan gave an Early Ordovician age of 479 ± 3 Ma. The data obtained allow confident recognition of three stages of intraplate magmatism in the western part of the Central Asian Orogenic Belt: Late Neoproterozoic with intrusion of alkaline syenites of the Karsakpai Complex; Early Cambrian with emplacement of ultramafic–gabbro plutons of the Ulutau Complex; and late Cambrian–Early Ordovician with formation of the Zhilandy Pluton and the intrusions of the Krasnomai Complex. This study was funded by the Russian Science Foundation, project no. 14–27–00058.